Many are once again disappointed with the outcome out of this year’s climate negotiations, but as with previous years, we did manage to salvage an agreement at the eleventh hour. At the end of the first week of negotiations at COP 19, it looked like the climate talks would remain deadlocked, but as has often been the case, we saw a breakthrough only after they went into extra innings. In the first week, there was no progress on carbon mitigation and some countries, notably Japan, Canada and Australia, indicated that they were not going to meet their emissions pledges. Once again the overarching issue thwarting progress were the disagreements between rich and poor countries. There was no progress on climate finance and the developed world all but ignored their $100 billion Copenhagen pledge. Even in light of the dire need so tragically articulated by Typhoon Haiyan in the Philippines, there seemed to be no urgency on Loss and Damage. There was no movement on efforts to put markets to work to combat climate change, with no progress on either the Framework for Various Approaches (FVA) or The New Market Mechanism (NMM). The only small consolation was some positive discussion in the area of technology transfer. 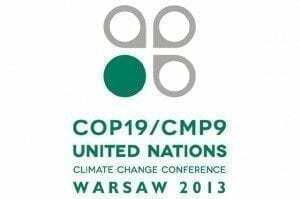 Nonetheless, after a 24 hour extension of COP 19, the Warsaw climate summit concluded on Saturday evening with a deal to help vulnerable countries cope with the impacts of climate change and a compromise agreement setting out a roadmap towards a global treaty in 2015. The Warsaw Summit did succeed in getting the world’s largest economies to set out “contributions” if not “commitments” by early 2015. Despite the developing world’s objection to making firm commitments to reduce their carbon emissions, a deal was reached as the deadline loomed. More than 190 countries agreed to start preparing “contributions” for the new deal, which is supposed to be adopted in 2015. “In the nick of time, negotiators in Warsaw delivered just enough to keep things moving,” said Jennifer Morgan, of the World Resources Institute, an environmental think tank. For two decades the world has been convening to address the climate crisis and yet in all this time we have not produced an agreement. It would appear that progress is only achieved at the end of each round of talks. In 2009 at COP 15 in Copenhagen, US President Barack Obama managed to salvage an agreement as the UN climate conference drew to a close. The so called Copenhagen Accord imposed a January 31 deadline which prompted member states to make emission reduction pledges. The same last minute initiatives also led to varying degrees of progress at COP 16 in Cancun, COP 17 in South Africa and COP 18 in Doha. To help understand the pace of the UN climate talks we may benefit from understanding a bit about the psychology of negotiations. Early in the process, negotiators want to appear strong. What seems like intransigent muscle flexing is actually a bit of theater intended to embolden negotiating positions. In negotiating, strategy deadlines are essential not only because they put pressure to reach an outcome, but as the end of the process draws near, we commonly see a softening of the positions of one or more sides. The reason that parties make concessions in the eleventh hour is because softening towards the end of the negotiating process is less likely to be perceived as weakness. Negotiatiors hold out to the end so as to secure the best possible deal for their side. Despite the vast amount of terrain that still needs to be covered, we remain on track. Based on the idea that we need to be up against deadlines to see action, it is still possible for us to secure a global binding treaty in 2015. We are moving, albeit slowly, in the direction of better climate policies. If we bear in mind the psychology of negotiations, it may give us reason to hope that as the end of 2015 approaches, we will see a flurry of activity that just may make a climate deal possible.